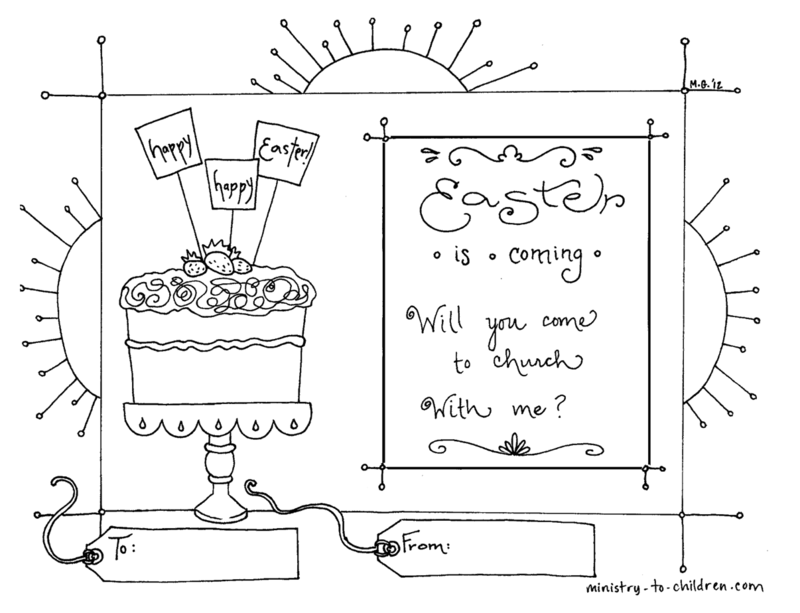 Click above to download this "Easter Invitation"
This free coloring page is perfect to invite others to come with you to church on Eater morning. You can download the print-friendly PDF version or a higher resolution PNG image for advanced editing. 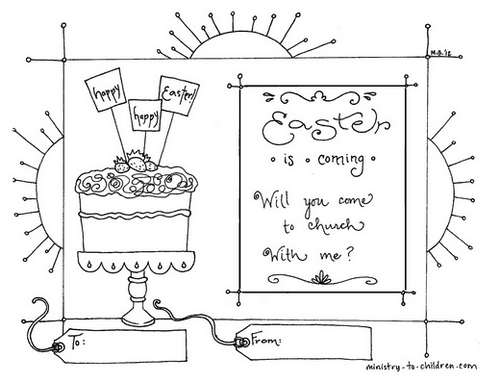 If you enjoy this printable invitation, be sure to browse all our Easter coloring pages. You can also leave a comment below to share when & how you will use this resource in your ministry. You can also see a similar invitation page Mandy created for the children’s ministry at her church. Tony Kummer (Editor) reviewed & updated this page on : March 26, 2012 at 12:15 pm. All our content is peer reviewed by our readers, simply leave a comment on any post suggest an update.